Hey everyone! As you all know by now, the Pride and Prejudice read along is hosted by Misty of Book Rat as part of Jane In June. I have spent June either on vacation or incredibly busy during the in between, so I totally failed at responding to the response questions for parts three and four. Instead of dragging this into July, I picked my favorite questions from parts three, four and five and responded to those. I hope you all like them. If you haven't read Pride and Prejudice, I suggest you do. Maybe you could post a review on your blog during next Jane In June. Discuss the whole of Lizzie's stay at Hunsford. There are many great, famous moments in this stay, as well as memorable characters. Discuss your highlights and low points (if any), your thoughts on characters like Lady Catherine and Col. Fitzwilliam, etc., as well as the new facets we see of the familiar characters. Lizzie’s stay at Hunsford is one of the most dramatic getaways one can imagine. I don’t really have any least favorite parts, because this section has so many juicy moments. One of my all time favorite moments not only in this book but perhaps in all of literature is Lady Catherine’s discussion of music. Of course, Lady Catherine. We all believe you have great potential. *rolls eyes* It’s like Donald Trump saying he would be great president if he were to run. 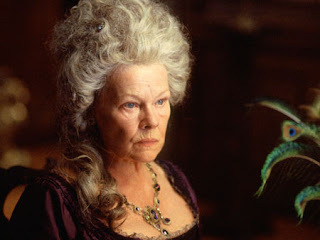 Also, Donald Trump and Lady Catherine both have very elaborate hairstyles. Lady Catherine is so absurd that I almost love her, but is actually nasty enough that really, I hate her. And I love to hate her. As for our other characters, I like meeting Colonel Fitzwilliam. I don’t think there’s anything that makes him particularly stand out among Austen men, but I do like him. Otherwise we learn that Charlotte Lucas is more observant than we give her credit for. Who knew? Discuss Darcy's first proposal. Prompts: What are your feelings on this scene; what do you think of the behavior of both Darcy and Lizzie. Contrast this to Lizzie's first proposal from Collins. Is Lizzie's complete surprise believable, especially in light of Charlotte's prolonged insistence that Darcy feels something for Lizzie, and the slight hints Darcy drops prior to the proposal? In terms of the fact that Darcy points out how poor Lizzy is, I would say that he is just as bad as Mr. Collins. Not cool, kids. Even though Mr. Darcy is a total fox, one can’t help but be infuriated by his first proposal to Lizzy, considering that he talks about how beneath him she is, yet speaks with “no doubt of a favourable answer” (185). Ugh. At least Darcy, unlike Collins, does not threaten to continue asking Elizabeth until she says yes. Were I in Lizzy’s shoes during Darcy’s initial (and terrible) proposal, I think I’d also be pretty surprised. Yes, Darcy has made a few flirtatious comments here and there. However, I feel like a lot of Darcy noticing and thinking about Elizabeth has been exposed not through dialogue, but through description. Plus, do I need to mention how rude Darcy was when he met Elizabeth? Lizzie has to this point turned down two proposals. Share your thoughts on this from the perspective of the modern woman (presumably) you are, and from the perspective of a Regency gentlewoman. Consider the reactions of the people in her life, especially Mrs Bennet, if they were to find out. Also, consider her rejections from the males' perspectives. Is Darcy (or even Collins) justified in being shocked to be rejected? A woman living in 2011, I am 23 and have received zero marriage proposals thus far. I’m not expecting to receive any soon. I don’t remember precisely how old Lizzy is during Pride and Prejudice, but I believe she is between 20 and 23 (I seem to remember Lydia at one point mentioning that Jane is 23). I tend to think that a lot of people nowadays get married when they are somewhere between the ages of 25 and 30 (I know some people get married earlier, but I’m making a guess here). Jane is considered something of an old maid. So really, for Lizzy to have two marriage proposals isn’t all that surprising. If Mrs. Bennet were to find out that Lizzy had turned down Mr. Collins AND Mr. Darcy, I’m pretty sure she would never speak to Lizzy again. I would say I think Mrs. Bennet would go so far as disown Lizzy, but I’m not actually sure if she would have that kind of legal power. Believe it or not, I actually think Mr. Collins and Mr. Darcy are both entitled to be shocked. First of all, Collins doesn’t realize how ridiculous he is. Second of all, he is going to inherit Longbourn after Mr. Bennet dies. This means that should Collins so chose, he could kick all seven of the Bennets out, leaving them to try and find some other they can live with or be destitute. And who knows whose hands the estate will end up in after Collins? By the way, if you don’t remember, not one of the Bennet girls is married at the time of Collins’ proposal, so if Mr. Bennet were to die suddenly....well, you get the picture. I can’t help but wonder if any of the Bennet girls consider Lizzy selfish for turning Collins down, even though they’re probably also glad he didn’t target them. Mr. Darcy has ten thousand pounds of year, which is an absolute crapload of money in Regency England. While that doesn’t entitle him to be a snob, some have argued that his inheritance plus his lineage have given him a certain right to be proud. Besides, who hasn’t fantasized at one point or another about marrying someone insanely rich? -- Lizzie's first meeting with Darcy since the proposal. -- Darcy's behavior, and his apparent willingness to continue their acquaintance through things like proposing she meet his sister. -- The Gardiners' reactions to the whole thing. When you think about it, the visit to Pemberley is surprisingly not awkward. After all, the last time Lizzy saw Darcy, he was awkwardly giving her a letter trying to explain himself. So now we see Darcy trying to make amends for everything that has gone wrong, while Lizzy gets a much better glimpse of who Darcy really is. Plus she meets Georgiana, who is incredibly excited to finally make Lizzy’s acquaintance. Lizzy is hesitant to believe Darcy could love her, and I would feel the same way. I think confusion is one of her primary reactions to the entire visit. Knowing how the book ends kind of makes me give a happy sigh every time I come across this visit. Discuss Lady Catherine's visit to Longbourn, and Lizzie's showdown with her. Also discuss Mr Bennet's reaction to the rumors of Darcy's feelings for Lizzie, and then his reaction when they prove to be more than rumors. If the fact that Lady Catherine went all the way to Longbourn just to make sure Lizzy isn’t marrying Darcy doesn’t prove that she’s a snob, then I don’t know what does. I think Lizzy holds her own quite well. As for Mr. Bennet’s initial reaction, my heart hurts for Lizzy. I can’t imagine how hard it would be to have her already crazy family deciding that they aren’t sure about her marital choices. When he founds out that Lizzy and Darcy is engaged, I can’t totally blame him for his reaction. It’s not as though he knows what Darcy has done for Lydia and is legitimately concerned about Lizzy’s happiness. I’m always thrilled to see Lizzy in such a state of euphoria. Discuss the way Darcy and Lizzie relate to each other at the end of the book, and Darcy's second (much superior) proposal. Also consider sharing your thoughts on what you expect for their future. Darcy’s second proposal makes me cry every. Single. Time. A huge plot point in this novel is Darcy putting aside his pride and actually listening to Elizabeth. I think after seeing all of the drama unfold he understands her family’s financial situation better. Plus, I think their opinions on the absurdity of Lady Catherine and Mrs. Bennet are similar. Give us your thoughts of the book on the whole. If you have read it before and/or read variations and sequels, what keeps you coming back? 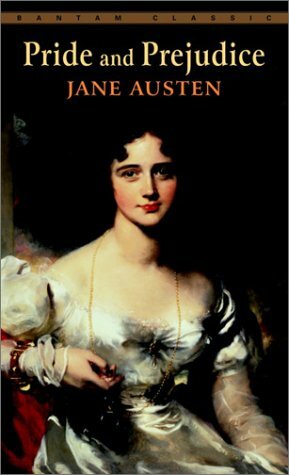 If this is your first time reading it, do you think you will read it again/read more Jane/read any variations or sequels? If you disliked it, don't be afraid to say so! What doesn’t keep me back? I love Darcy. I love every character, even the ones I simply love to hate. The humor. The drama. The romance. Honestly, how much do I need to expound on these points to sufficiently convey my love for this book?